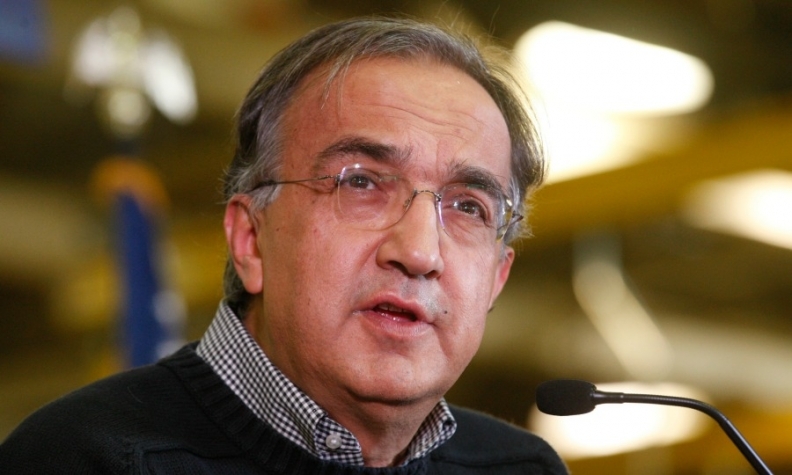 Marchionne: "The Chrysler story is one investors have followed from the beginning." LONDON (Bloomberg) -- Fiat Chrysler CEO Sergio Marchionne says he will use the "human-interest" angle of Chrysler's rebound from bankruptcy to help Fiat Chrysler appeal to U.S. investors ahead of a listing there later this year. Following the completion of Fiat's merger with Chrysler, a new company, Fiat Chrysler Automobiles NV, will begin trading in New York in the first two weeks of October, with the exact date dependent on technical issues currently being addressed, Marchionne said in an interview in Basildon, England. Chrysler boosted U.S. sales 17 percent in May, faster than predicted by analysts, as demand for Jeep SUVs surged 58 percent. While such an approach might appeal to casual and retail investors, it’s unlikely to sway sought-after institutional shareholders, Richard Hilgert, an analyst with Morningstar Inc. in Chicago, said in an interview. Marchionne said Fiat and the CNH Industrial NV business -- which makes New Holland and Case tractors and Iveco trucks and is already listed in New York -- must work to lift liquidity. Fiat bought full control of Chrysler in January, with the merger part of Marchionne’s decade-long effort to turn the Turin-based company into a carmaker big enough to challenge General Motors Co., Volkswagen Group and Toyota Motor Corp. The Italian automaker plans to move its primary listing to the New York Stock Exchange after shareholders meet to approve the combination in the third quarter. The company’s board formally signed off on the formation of FCA earlier this week. Fiat plans to raise as much as 4 billion euros by issuing new bonds by the end of 2015, providing flexibility to refinance debt as it implements the merger, it said June 15. A plan to expand Alfa Romeo requires the upscale brand to establish its credibility “one car at a time,” with the first new model now a year away, Marchionne said. “We have to have a car that is on a par with, if not better than, the German cars in powertrain and handling, and that’s also a great-looking car,” he said.